I am not a Twitter fan by any sense but for getting connected with teachers, it can have a great impact on your professional development. Ideas, resources, anecdotes, blogs, articles, research and CPD events are all shared on there. There are hashtags educators can use to find out more about specific fields, subjects or topics. Don�t be put off by talk of arguments and echo chambers, there is a supportive community of educators on Twitter. 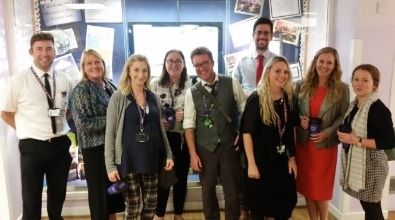 I know that some of you have attended Teach Meet�s and, having attended one myself recently, they are a great way to share good practice, practical ideas and personal experiences or insights into teaching. They tend to take place during evenings or weekends, so this can be seen by some as a downside. Excellent events to look out for include #BrewEd meetings, which usually take place in a pub, where drinks and discussion about education flow in addition to presentations. Please look out for local Teach Meet events or join the Teach Meet Facebook page to share ideas or experiences. If there are a lack of events in your area, why not set one up yourself? Good blogs written by teachers can be an inspirational source of ideas and good practice. I only follow one blog, www.educationalhipsters.com, and I met one of the writers of this blog at a Teach Meet at Poole High School. This blog has some great ideas for student engagement. Subscribe and try a few out!! Hopefully you might find some of the above, useful. There are so many ideas out there, you can�t try them all. I�ve literally tried 3 or 4 ideas over the last couple of months but it�s a great way to keep you fresh and motivated. Facebook 'groups' for your subject are great at sharing resources and supporting each other! 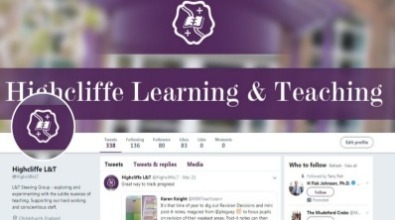 I'm a big fan of edutwitter and get some amazing revision resource ideas from people like @KKNteachlearn and @mrfitzhist and its a great way to ask for things and share what you already have!